2017 was a remarkable year and we wanted to make sure we documented it well and shared it with everyone that's been a part of making it successful. So, we took the time to hire a writer, Lindsay Hotmire, and invited her to interview a few foundations that provide significant funding to us as well as many other great nonprofits. Lindsay just happens to be the person that was influential in started NeighborLink Van Wert in 2009 and knows our organization well. We combined her stories with the data from some of the most prominent highlights of 2017 and asked our graphic designer, Matt Plett, to turn the content into an annual report. In addition, we created videos to go with the report to bring a few of the stories to life like only video can do. You can view those videos and several others by clicking here. This was our first attempt at developing a real, in-depth annual report in 14 years, and the first major printed piece we've created. It was important for us turn this content into a printed report and continue developing our ability to provide evidence that the resources our donors and volunteers are investing in our organization is making an impact for neighbors in need. 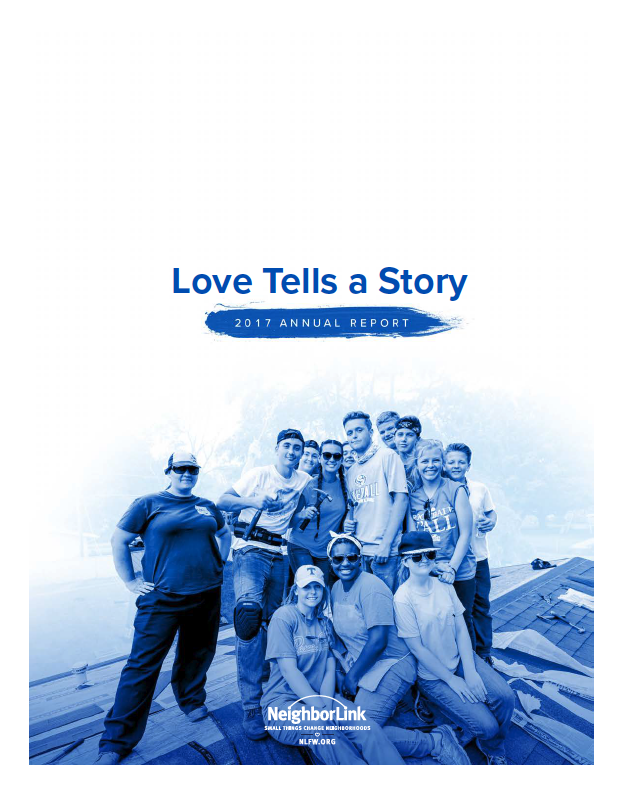 Sharing the story is important to us and an annual report is a great tool to do so. We look forward to making this a regular rhythm at NeighborLink for years to come.